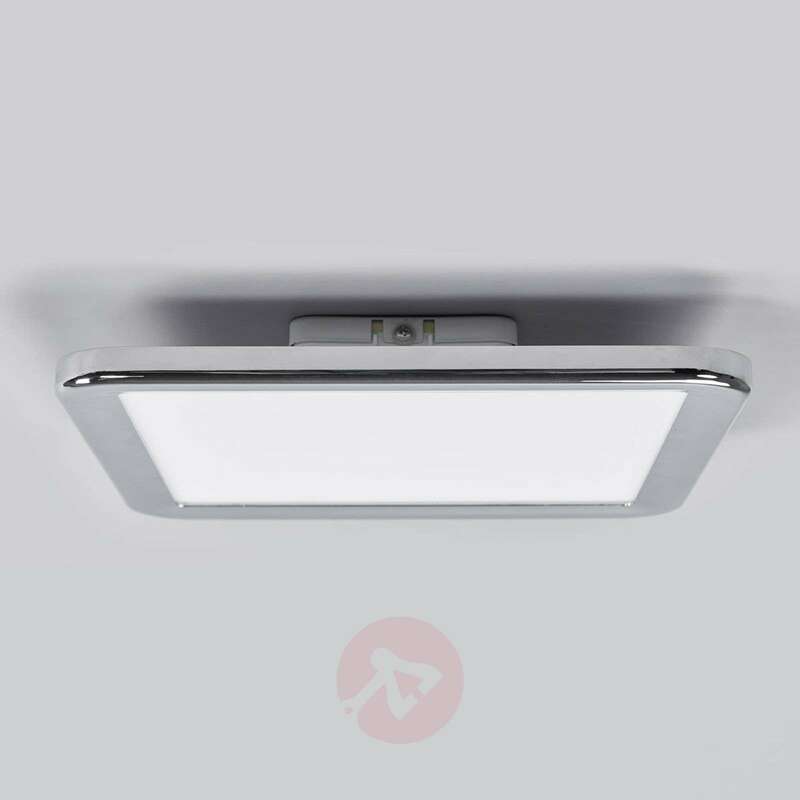 Filina has an angular, flat body with a modern chrome border and provides uniform lighting with low power consumption and a high light output. 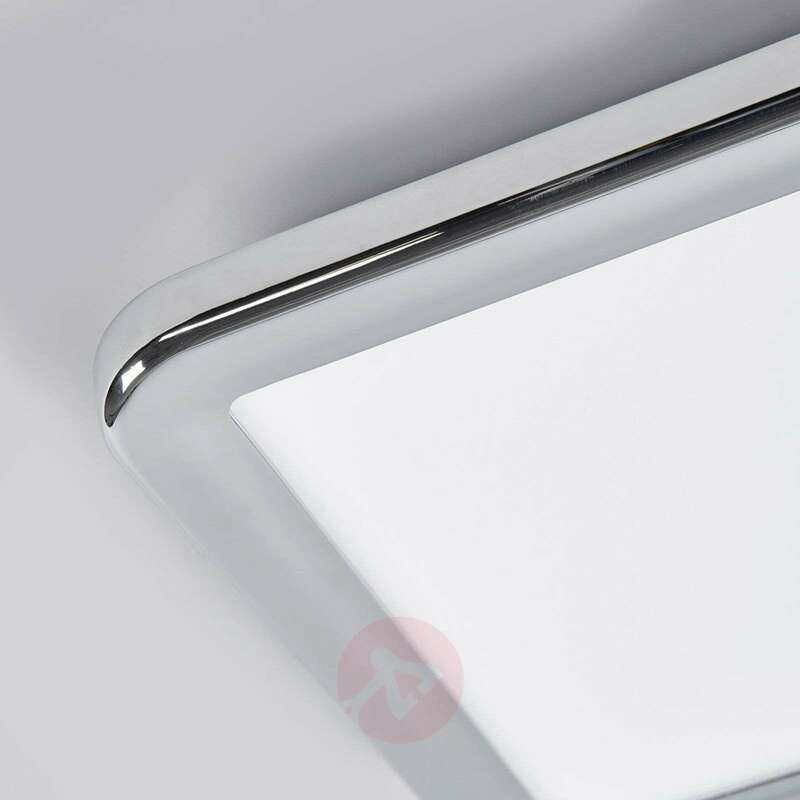 With the IP code IP44, the LED ceiling light is intended for use in the bathroom, where the chrome-plated edge also comes into its own. 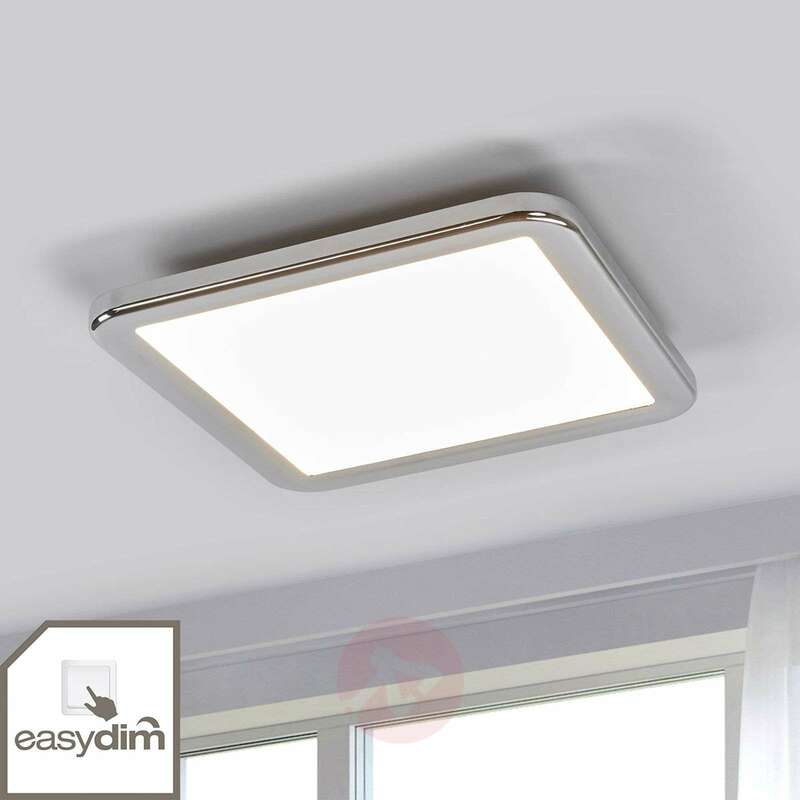 From a technical point of view, the innovative Easydim functionality should not go unmentioned - Filina can be dimmed via a conventional wall switch. If the light is on, it only needs to be turned off and on again quickly and as a result the brightness falls at a slow pace. The dimming process either stops when a brightness of 10 % is reached or when you repeat the fast switching process and thus set the desired level of brightness. Easydim... Description says operated by wall switch, but UK bathrooms use ceiling pull switch for safety, so will it still work ok? 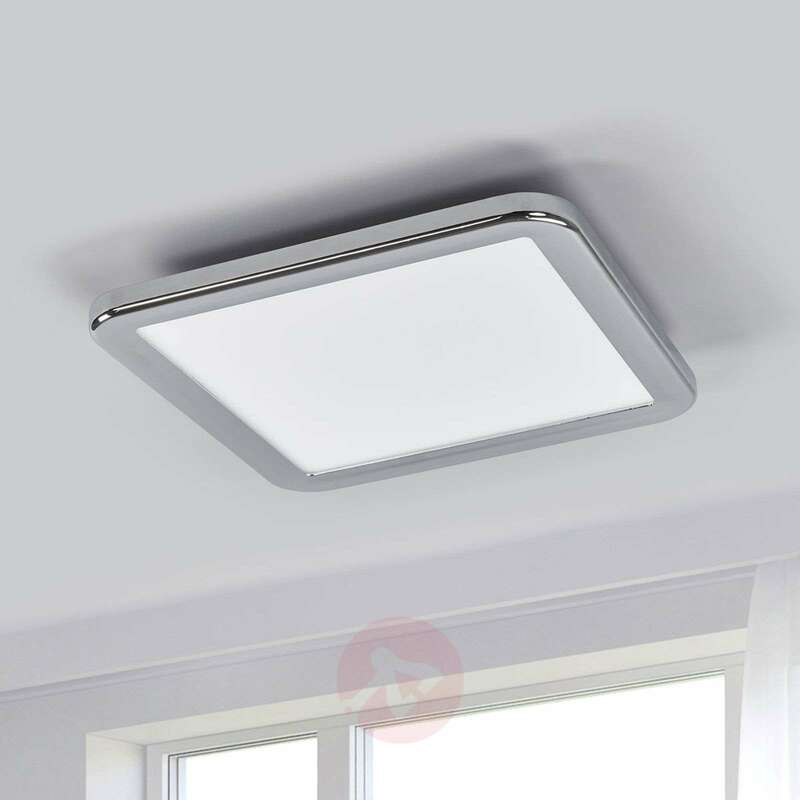 Yes you will be able to operate the light fitting via the ceiling pull cord. This is not the ideal option to operate the light with however it will definitely function. The product when fitted is excellent- looks good and gives out a lot of clear light. 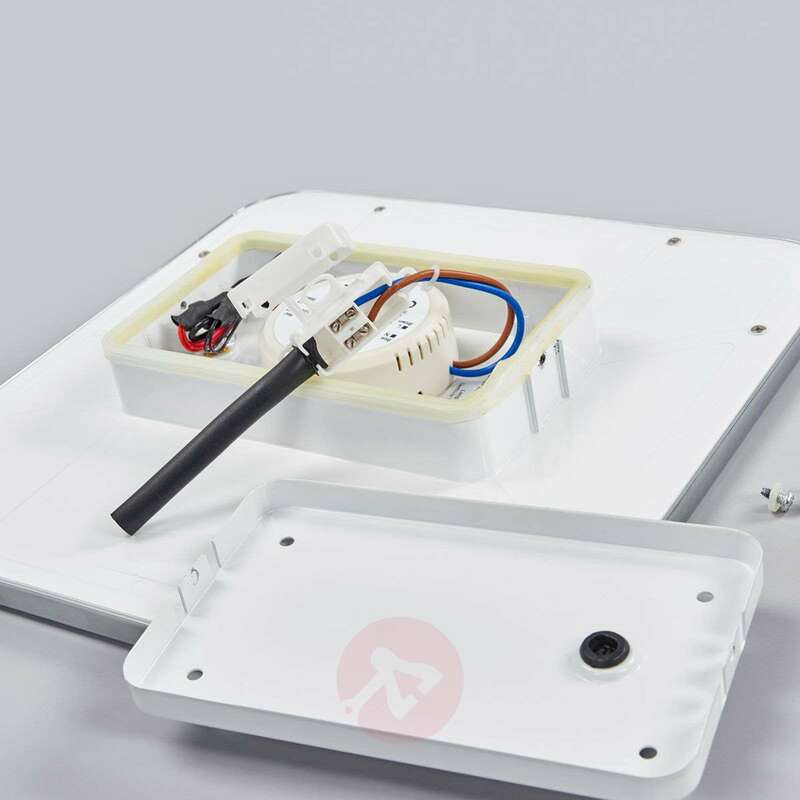 However, the product is difficult to fit as assembling it against the ceiling is very difficult due to the very tight seal around the metal junction box and the limited distance between the ceiling and the upper face of the light. The light arrived promptly and well packaged. It is well made and looks amazing up, my plumber who fitted the bathroom was extremely impressed with the quality and overall finish. Would definitely order from lights.co.uk again. On the website it said dimmer included, which was not the case ,as the light is dimmable but you use your own dimmable switch which is not supplied.